What Are the Different Types of Electronics Assembler Jobs? Electronics assemblers work with small parts. Electronics assembler jobs can be divided into categories based on the types of products being assembled, the organization of assemblers in a facility, and the type of employment contract. Many different electronic products require assembly, and different systems and techniques are used to assemble tiny consumer electronics, computers, and specialty electronics. Some electronics assembler jobs involve repetitive work on an assembly line, while others feature individual work on particular items. 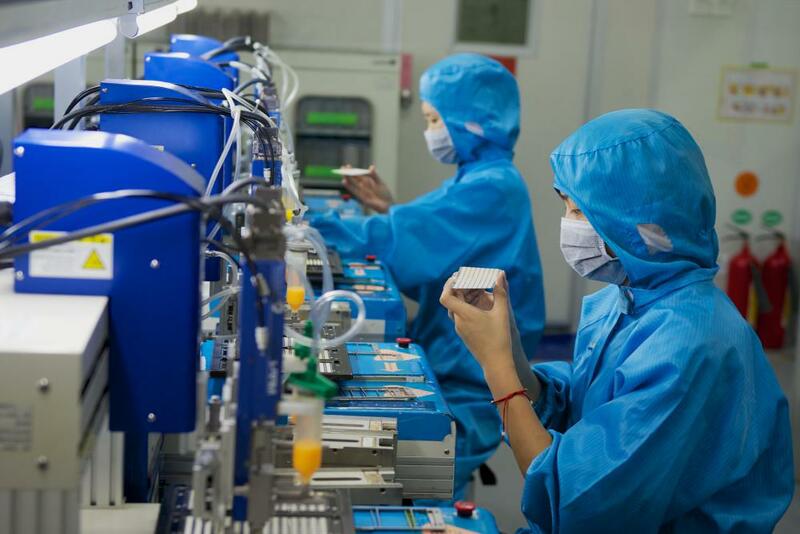 Many electronics assemblers work as normal contract employees, but others are hired as temporary workers and are often used by management to meet spikes in demand for products. Large numbers of electronics assembler jobs involve the assembly of large numbers of consumer electronics items ranging from computer components to cellular phones. These jobs are often done in large facilities on an assembly-line system. The parts of modern electronic devices are so small that humans often cannot manipulate them directly, and automated viewing and manipulating systems are often used in this sort of work. In sophisticated facilities, the work may require familiarity with some computerized devices or tools. Other electronics assembler jobs involve assembling items such as computers or custom electronics items. Computer assembly is often repetitive and is similar to work on small electronics, but some firms specialize in the assembly of customized systems, which must be designed and built individually. Assemblers working on custom systems usually need to have a reasonably high level of technical savvy. Some electronics assemblers work on items that are either unique or part of very short order runs and need to have excellent trouble-shooting and technical skills to ensure that these small, custom assembly jobs are carried out properly. Different firms use different strategies to organize electronics assembler jobs. Some use traditional or flexible assembly line systems, in which many workers do part of the assembly work for each finished product, either working at fixed stations or trading off between tasks. Other plants rely instead on systems that have each worker producing a single product at a time. In many cases, electronic assembler careers are based on traditional workweeks with overtime and standard shifts. Other electronic assembler jobs are less structured, allowing flexible schedules, non-standard shift lengths, and other options to aid in shift scheduling. Some firms make extensive use of temporary workers, for example, because these workers can be brought in when demand for the products produced in a given facility increases but dismissed when demand falls, allowing for the more efficient use of labor. What Does a Computer Assembler Do? How Do I Choose the Best Electronic Training? How Do I Become an Electronics Assembler? What does an Electronics Assembler do? What are the Different Types of Mechatronics Jobs? What does a Mechanical Assembler do?